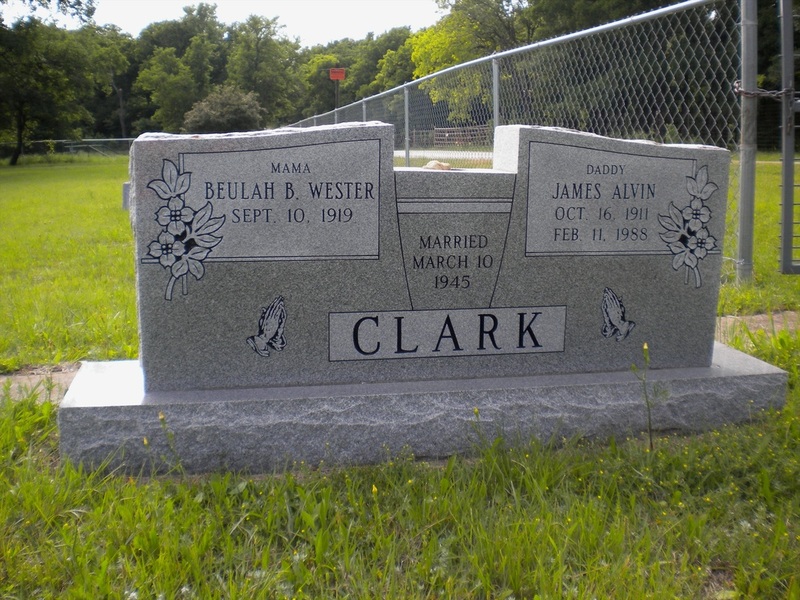 James Alvin Clark was the first born of William Alexander and Annie Ethel (Mullinax) Clark. He was born October 16, 1911 in Parker County, Texas. He was born and raised on the farm that had once belonged to his grandfather, James Edward "Jim" Clark. It was located 9 miles north of Weatherford, just north of Clark Cemetery in the Wright Community. In 1936 Alvin and his brother Odis, both single, started on their own. They leased a place and farmed it one year, then moved and farmed another place for a year. At this time they leased 328 acres and bought a dairy which they dairyed for five years. Odis got married to Minnie Alice Keen in 1943 and sold the dairy. In 1945 Alvin married Beulah Wester. 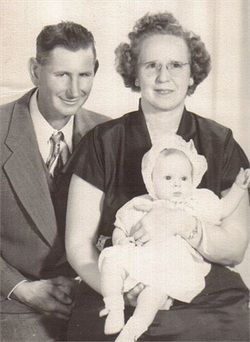 Beulah was born in 1919 to William Hartwell "Hart" Wester and Mildred Beulah White. Alvin and Beulah had one daughter, Paula Jane. To support his family Alvin worked a few years in construction. He then decided to dairy again so he leased the homeplace where he grew up. He dairyed for 22 years. He eventually inherited the property and remained there until his death in 1988. He is buried in Clark Cemetery. His hay barn and dairy are still standing today (2012) and can be seen from Clark Cemetery.